CENTENNIAL, Colo. (AP) — Belittled by the judge and jeered by spectators, James Holmes was sent to prison for the rest of his life Wednesday, while the survivors of his murderous attack on a Colorado movie theater wondered aloud how they would spend the rest of their days. Samour described Holmes as an angry quitter who gave up on life and turned his hatred into murder and mayhem against innocent strangers. Survivors and victims’ family members in the gallery cheered, and someone shouted “Loser!” as deputies took Holmes away. The long, grueling trial came to its formal conclusion three years and 37 days after Holmes murdered 12 people and tried to kill 70 more during a midnight showing of the Batman movie “The Dark Knight Rises” in the Denver suburb of Aurora. Samour, who was scrupulously respectful toward Holmes throughout the trial, launched into a withering condemnation of him as someone who knew right from wrong but “robbed the world of all the good these victims would have accomplished” and irreparably damaged the lives of hundreds more. Outside the courthouse, prosecutors and victims broke into smiles and even cracked a few jokes, their relief obvious. But they also wondered what their futures would hold without the daily routine of the trial and the comfort they found in each other’s presence. Kathleen Larimer only recently has been able to accept that her son, John, was murdered in the attack. She said the trial has become her life and she doesn’t know what moving forward will be like. “Now that this is over, I have to go home and live with all that emptiness, and yet somehow be happy with life going on,” she said. “The trial is over, and that thing will never see the light of day again,” said Caren Teves, whose son, Alex, was killed. 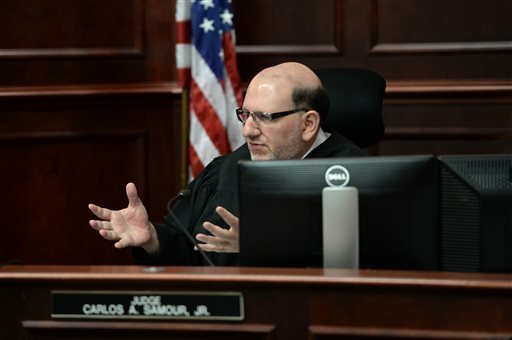 Samour was required to give Holmes life without parole, rather than the death penalty, after a split jury decided the sentence earlier this month. Prosecutors have said 11 jurors favored death and one voted for life without parole. Under Colorado law, jurors must be unanimous to impose the death penalty. The 3,318 additional years were for Holmes’ convictions for attempted murder and an explosives count. 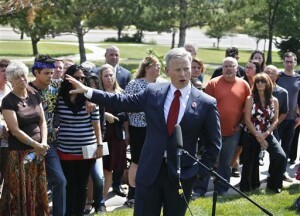 Colorado court system spokesman Rob McCallum could not say whether the sentence was a record for the state. He said it was the longest he was aware of. Before sentencing Holmes, Samour tried to reassure victims who were upset at the lack of a death penalty that Holmes’ punishment would still be severe. The judge also dismissed complaints that the trial was a waste of time, noting it gave family members and survivors an opportunity to tell the world about their ordeal. The case could have ended the same way more than two years ago, when Holmes offered to plead guilty if he could avoid the death penalty. Prosecutors rejected the offer. As they departed the courtroom for the last time, survivors and relatives hugged and thanked prosecutors, law enforcement officers and a handful of jurors who were in the courtroom to observe. Some wiped away tears. Colorado prisons officials will determine where Holmes will be incarcerated after an evaluation that includes his mental health. Holmes, who has been diagnosed with varying forms of schizophrenia, could wind up in the corrections department’s mental hospital, the 250-bed San Carlos Correctional Facility in Pueblo. He also could be transferred to an out-of-state prison. 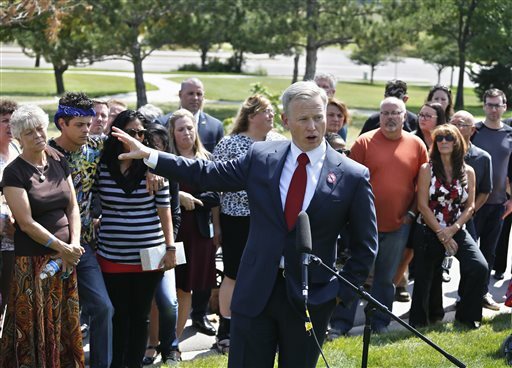 The Arapahoe County Sheriff’s Office refused to discuss Holmes or say whether he had left the jail, citing security concerns. Holmes moved from California to Colorado in 2011 and entered a prestigious postgraduate neuroscience program at the University of Colorado in Denver. But he dropped out after a year; by that time, he was well into planning the attack and stockpiling ammunition. He rigged his apartment to explode on the night of the shooting, hoping to divert first responders from the Aurora theater. The homemade devices didn’t go off. He surrendered meekly outside the theater after the July 20, 2012, attack and eventually pleaded not guilty by reason of insanity. Last month, the jury rejected that plea, finding Holmes knew right from wrong when he slipped into the theater dressed head-to-toe in body armor and started shooting. Holmes’ state-appointed attorneys blamed the massacre on his schizophrenia and psychotic delusions. They said Holmes was obsessed with the idea of mass killing since childhood, and he pursued neuroscience to find out what was wrong with his brain. 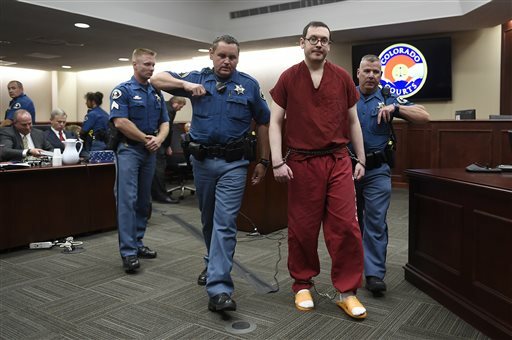 Prosecutors pointed to Holmes’ elaborate planning and his refusal to divulge to anyone — family, friends, psychiatrists — that he was thinking about, and preparing for, mass murder. An attorney for Holmes’ parents did not immediately respond to a call seeking comment Wednesday. Holmes’ mother, Arlene, was the last to testify during his emotional sentencing hearing, saying her son feels remorse but his mental illness and medications make it hard for him to express it. “We are very sorry this tragedy happened and sorry everyone has suffered so much,” she testified. Story by Sadie Gurman. 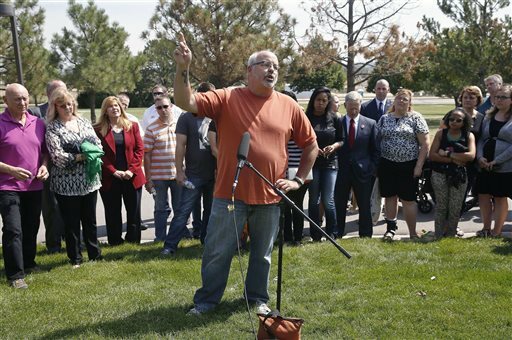 Associated Press writers Nicholas Riccardi and Dan Elliott in Denver contributed to this report. What a joke. The one juror who held out should be put in the cell with him for 3318 years. Dex. I hear you, he needed a firing squad by the victims Families.